Do you ever have those times when something or someone keeps popping up in your life? Recently, I had that happen with cookie dough. Seriously, it was haunting me!! I don't know if my sweet tooth was just getting the best of me, but I was either noticing cookie dough more or cookie dough was really haunting me. It was everywhere ... cookie dough ice cream, cookie dough Oreos, cookie dough frosting and then I had a conversation with someone about eating cookie dough! That's it! It was time to make some cookie dough. I remembered a few years ago, my sister-in-law made a great chocolate chip cookie made with garbanzo beans. I knew, if you can make a cookie ... you can make the dough! Sure enough, I looked it up on the web and I wasn't crazy ... people have done it before. 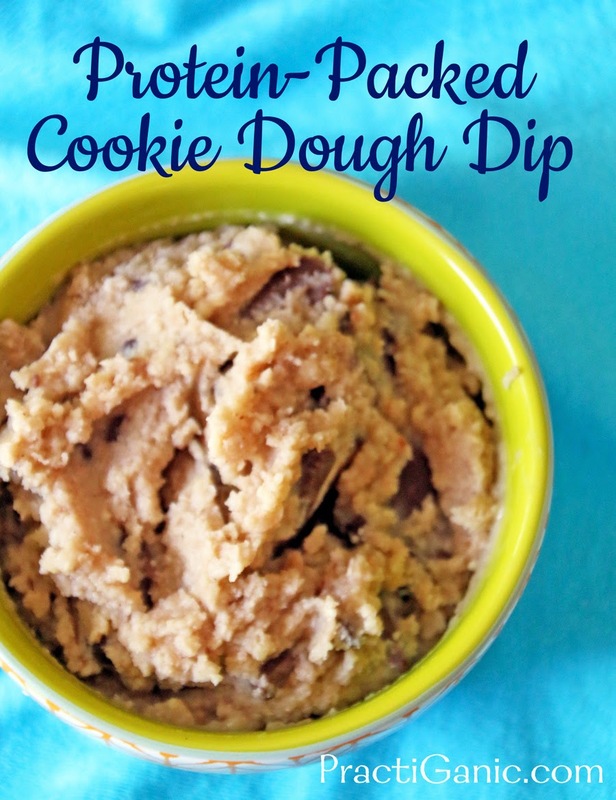 However, most of the dips were really smooth and creamy dips and I wanted it to have the texture and feel of actual cookie dough. I have been dipping just about anything in this dip and loving it! It's really great with strawberries, but I like it with a salty pretzel too! 3 oz chocolate bar, broken into chunks ... use vegan, dark, milk or whatever your favorite chocolate is! Put all ingredients except for the chocolate bar into your food processor and mix until smooth. Then, mix in chocolate bar by hand. Serve with strawberries, banana chips, graham crackers, pretzeks or just get out a spoon and start digging in!